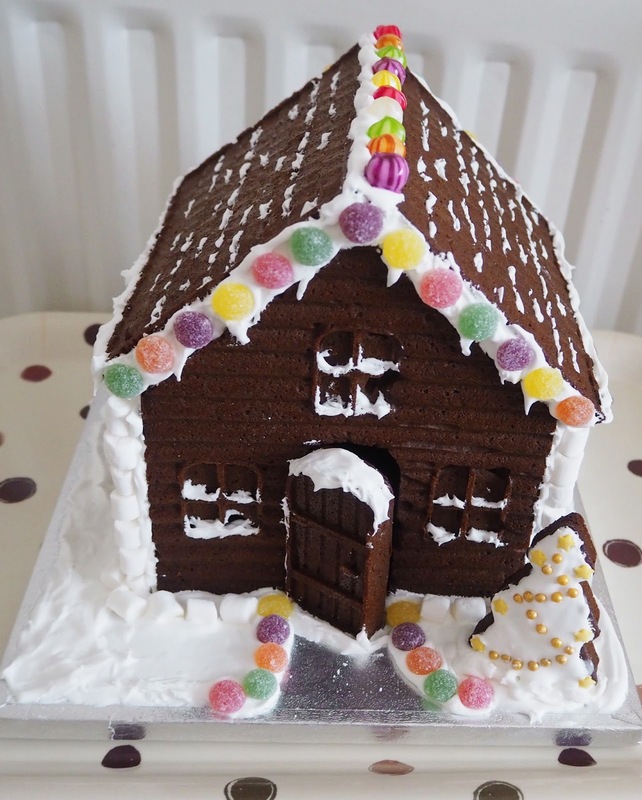 Nothing says Christmas quite like a Gingerbread House! I've been so excited to make one from scratch this year and am delighted with how mine turned out! 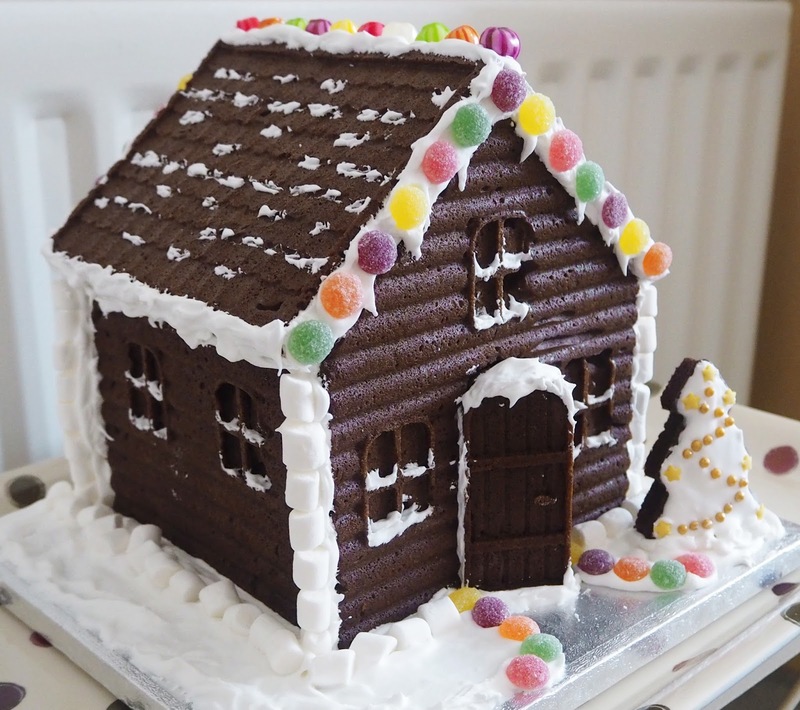 I used Lakeland's Fairytale Cottage Mould (now reduced!) to make mine, although you can also find templates online to use as guides to cut the right shapes out. 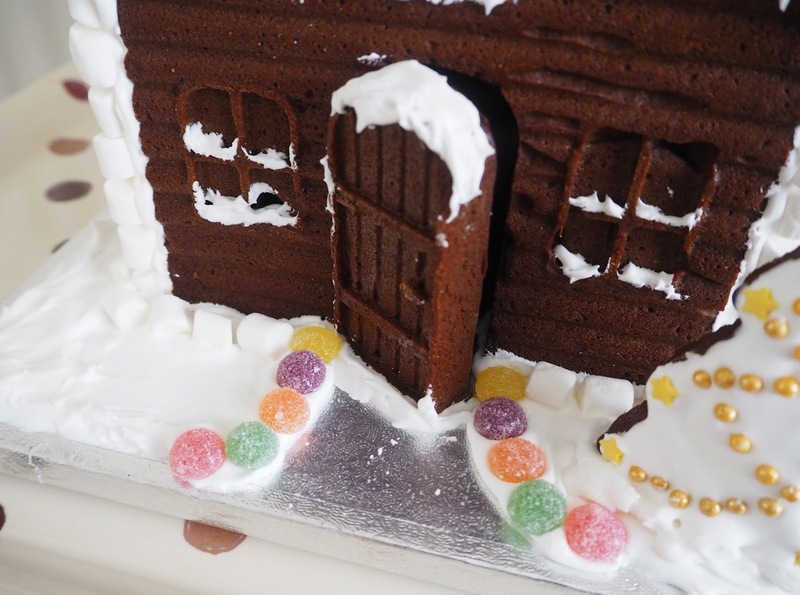 This mould was great though as it gives you the right thickness and also imprints windows and wood texture onto your gingerbread! The moulds are silicon so everything popped out easily and they can be reused too. It says you can use them to pour melted chocolate into as well and make a chocolate house, I may try this for Easter! I'm planning on leaving this on display over Christmas (because it looks so pretty!) and then break into it on Boxing Day, although I do feel it'll be rather a shame to eat it really! 1. Pre-heat your oven to 170 degrees. 2. Melt butter in a large pan over a low heat and then stir in the sugar and syrup, remove from the heat and continue to stir. 3. Add the dry ingredients to the pan and mix until everything is blended into a thick dough. 4. Tip the dough out onto a lightly floured surface and knead. If you are using the mould, tear off pieces of dough and press into the mould carefully. If you are using templates then roll out to the desired thickness and cut your shapes. 5. Place on a baking tray and bake for 25-35 minutes until firm to the touch - the dough will become crispy as it cools. 6. Allow the gingerbread to fully cool in the mould before removing it . 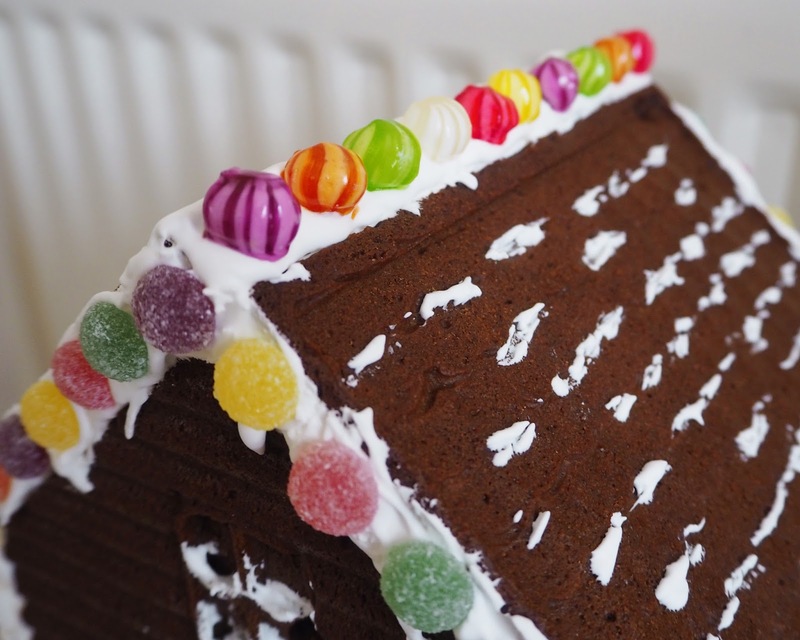 If you're using a template you may need to cut to re-size the gingerbread before it cools. 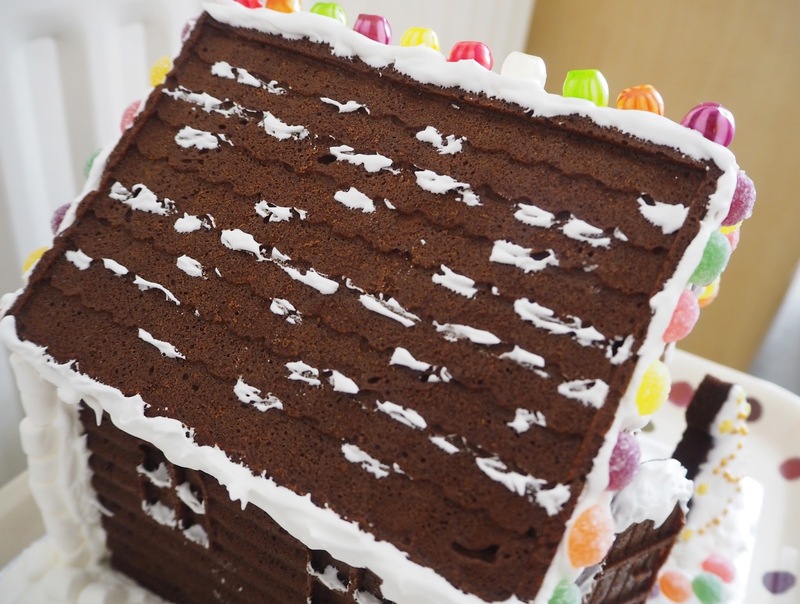 Royal icing acts as glue and then stick all the pieces of your house together. NB: I had quite a bit of icing left over so I ended up making some meringues with the remaining mixture. 2. Gradually add egg whites, whisking with an electric mixer until the mixture forms a thick white paste. It should be really stiff glossy peaks that hold their shape. Add more icing sugar if required. 3. Spoon icing into a piping bag and twist at the top to stop it coming out the other end! Then begin assembling the house! 1. Place a 25 x 25 cm (10 inches) square cake board onto your work surface. If you want to add more decorations around your house though, i.e. a longer path, gingerbread characters, you may want to choose a larger board such as 30 x 30 cm (12 inches). 2. Pipe the icing along the base of one side panel and position on the board (although I ended up just using a knife to spread all of my icing, worked perfectly fine!). Prop up temporarily with a teacup or a small glass. Pipe the icing along the base and one side of the front panel, position against side panel and prop up with another tea cup - I found my icing was actually so strong that I only needed the one teacup in the middle behind the front panel! 3. Pipe the icing along one side and the base of the other side panel. Position against the front and prop up with another cup. Pipe more icing along the base and both sides of the back panel. Position this up against the side panels and leave all of this to dry for 20 minutes. 4. Remove the tea cups then ice your floor panel and place in an open position at the front of your house. 5. Pipe icing along the top edges of the roof panels and place in position (you may need to hold in place for 30 seconds to a minute). 6. Pipe icing along the base of your tree and any other pieces and set in position. 7. Decorate as desired! 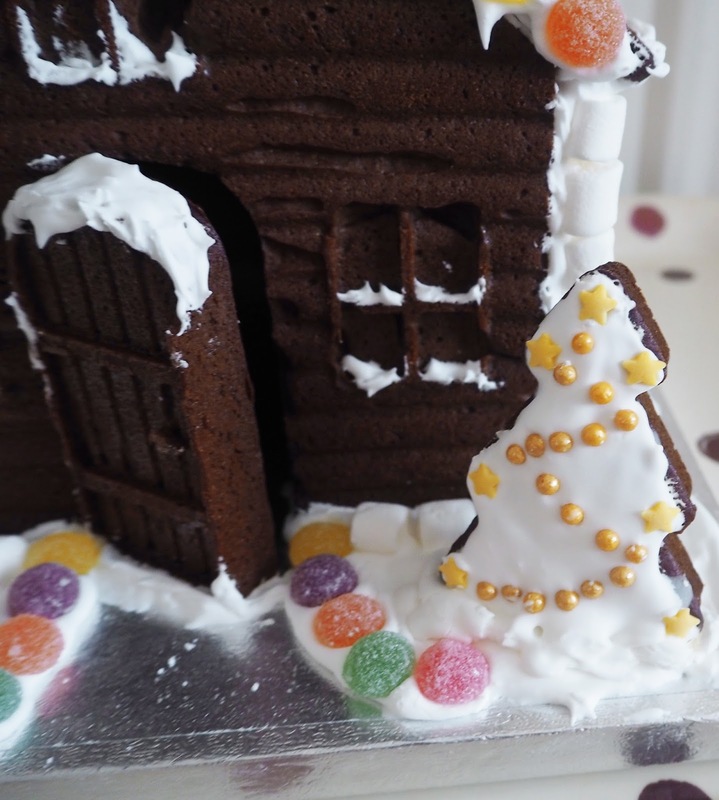 I used jelly tots for the lights around the front back and the pathway, boiled sweets for the top of the roof, white marshmallows as snow on the ground and up the sides of the house and sprinkles to decorate the tree! The rest of the 'snow' decorations is just the royal icing. 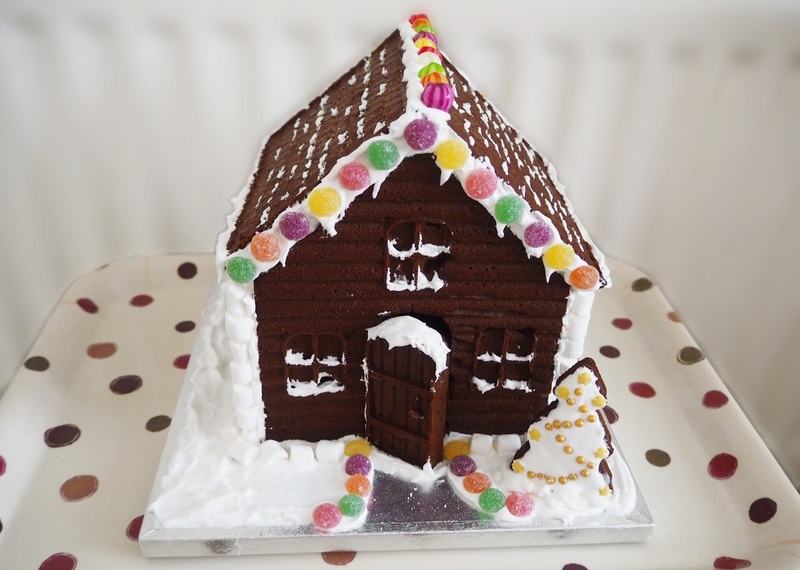 Have you made a Gingerbread House this Christmas? I'd love to see your pictures! That looks great. My skill doesn't go much further than the actual gingerbread man shape because I can use a cutter. I'll just admire the prettiness of yours and hope I can be that good haha.